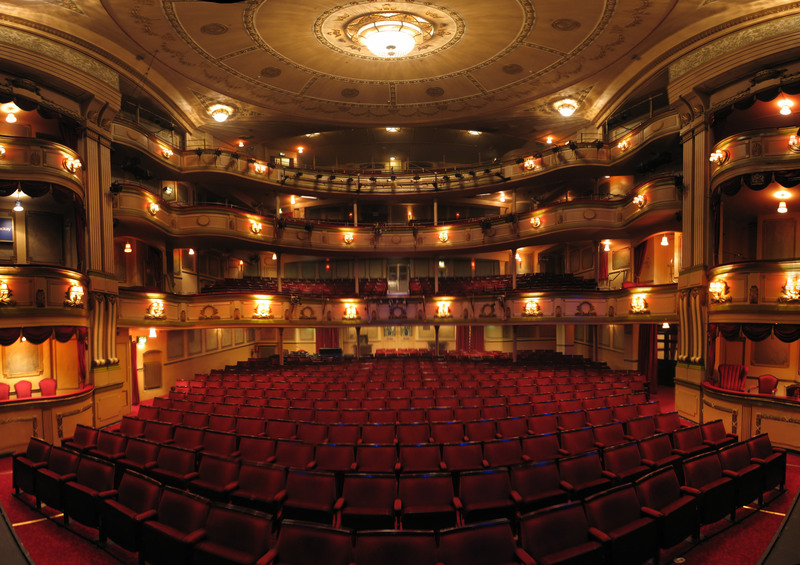 Theatre Royal Brighton” by Ian Muttoo from Mississauga, Canada – Theatre Royal Panorama, Brighton, UK. Licensed under CC BY-SA 2.0 via Wikimedia Commons. An appreciation of the theatre arts: the role of the audience; play structure and genres; theatre artists; and the fundamentals of play production. The students will read representative plays; view selected filmed plays and films, and attend live theatre. This course meets the learning outcomes expected by the Honors Program. This course meets General Education requirements: Cultural Enrichment. This course will be held with Professor K. LaPietra on Tuesdays and Thursdays from 3:00-4:15pm in WIL 166.